City Island in Harrisburg offers a full day of classic fun for locals and visitors alike including baseball games, riverboat rides, and panoramic views of Harrisburg. This island is a little piece of Americana pie that’s reminiscent of days past and the memories you cherished as a kid – something you’ll want to share with your kids today! Between the post-game fireworks and free fan giveaways, the unique location of this ballpark provides beautiful city views and refreshing river breezes. 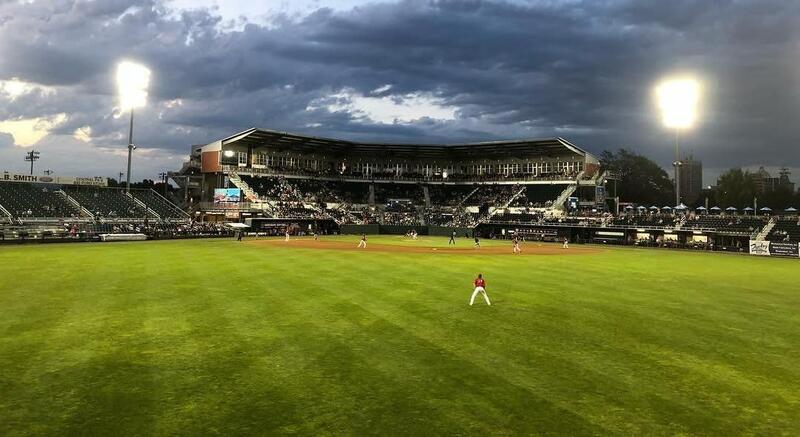 In the spring and summer, thousands of fans young and old root, root, root for the Harrisburg Senators, AA affiliate of the Washington Nationals, from their island baseball diamond. Watch the players take the field while you nosh on classic ballpark concessions like popcorn, hot dogs, cotton candy, and Cracker Jacks, and new favorites like Arooga’s hot wings. On the seventh inning stretch, take the little leaguers down to the Kids Zone which boasts a large collection of inflatables and games! 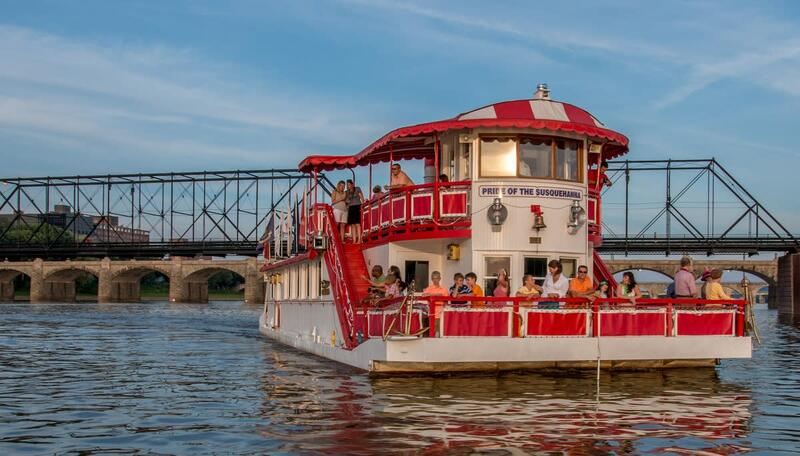 The red and white Pride of the Susquehanna Riverboat can always catch your eye as it cruises along Harrisburg’s riverfront. It&apos;s one of six remaining authentic paddlewheel vessels in the country and a true treat for its passengers. Launching from City Island, the Pride welcomes you aboard for daily 45-minute sightseeing tours with 360-degree photo ops of the Susquehanna, Harrisburg, its bridges, and the Island! At night you&apos;ll find the Pride shining bright, hosting dinner cruises, taking sunset sails, and throwing happy hour parties before moonlight floats down the river. On Saturday mornings, the Pride becomes a floating classroom with the Susquehanna River School, a 75-minute cruise that teaches kids and adults about the ecology and history of the Susquehanna River! No matter how you experience the Pride, there’s nothing like putting your elbows on the railing and watching the water churn as you float around and soak up a great day. 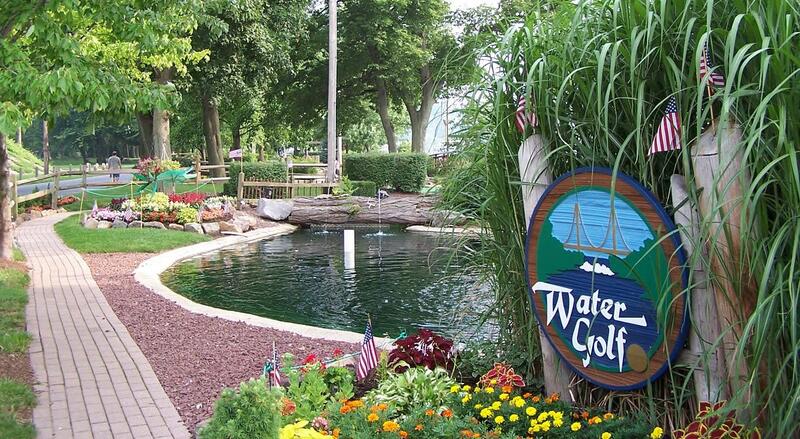 Fun is on par at Water Golf, a beautifully landscaped 18-hole miniature golf course perfect for friendly competition and panoramic views of the sunset over the Susquehanna River. The championship-style green is filled with unique and challenging holes, water hazards, sloping greens, and waterfalls that young and old and novice and experienced golfers can enjoy. The 60-foot walking bridge that connects two scenic bluffs is a perfect spot for a photo op. When you’re finished, have the losing team buy everyone a hand-dipped Turkey Hill Ice Cream cone! 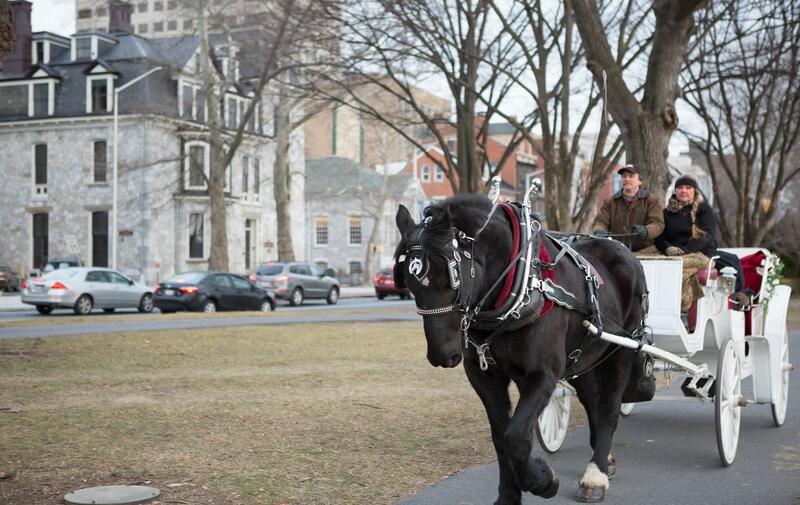 A horse-drawn carriage ride around Harrisburg is a charming and memorable addition to any getaway. Available for romantic dates, family rides, and groups up to 10, the South Mountain Carriage Company takes riders on city tours with true American horsepower! Cross this whimsical excursion off your bucket list! All aboard! While City Island is small enough to walk around, hand-in-hand, you can kick back and see it all from the City Island Railroad. This a miniature version of a Civil War-era steam train takes visitors on a scenic tour around the island. Between the train station and the ballpark, you&apos;ll find a beautiful antique Carousel whose painted ponies and quintessential music will transport you back to childhood fairs. Café Huey offers a full menu of sandwiches, appetizers, and desserts, a perfect stop before or after riding The Pride. Most of all, Café Huey&apos;s location between the ballpark and the Pride&apos;s launch dock provides perfect panoramic riverfront dining views. Parking is free in the North Lot (the lot closest to the Stadium, between Market St. and the Walnut St. Bridge) after 11 AM daily, Monday-Friday for City Island patrons. On holidays and when the Senators are playing, it's $5 per car.